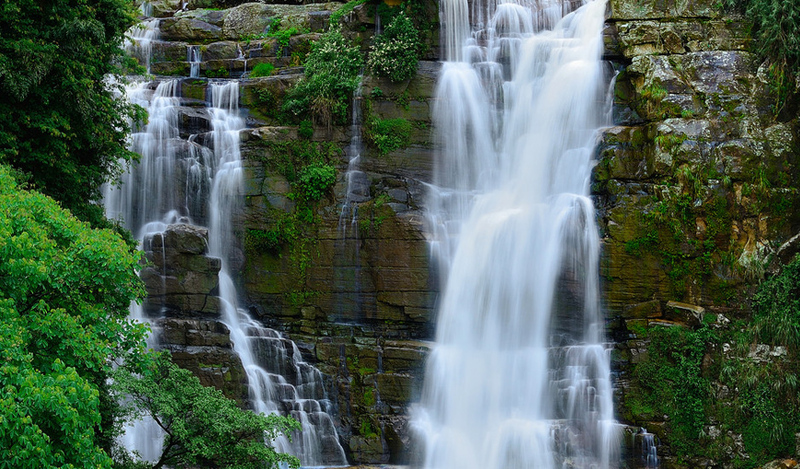 Ramboda Falls comprise several waterfalls fed by small brooks that flow into the Panna Oya. 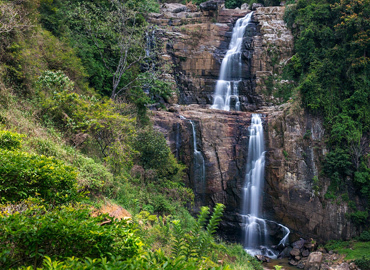 These falls are situated on the A5 road on the steep Ramboda Pass. James Emerson Tennent writes in Ceylon (1859): "The road from Pussellawa winds through the valley skirting the bases of the hills, till it reaches an apparently insurmountable barrier of mountains in the glen of Ramboda. Here the acclivities that bound the ravine are overcome by a series of terraced windings, cut out of the almost precipitous hill; and so narrow is the gorge that the road enters between two cataracts that descend on either side of the pass". 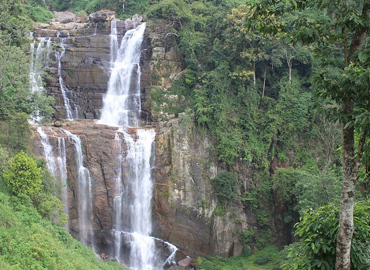 Tennent refers to the biggest of the Ramboda Falls, the 109-m high twin-fall, which flows over the rock ledge north of the A5. 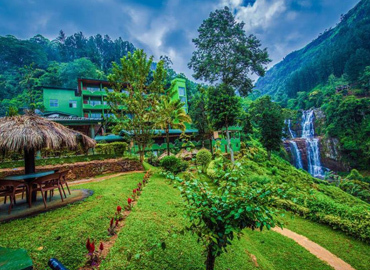 This is the tenth highest fall in Sri Lanka. There is a smaller fall of 30m that crosses the A5 at Ramboda village.